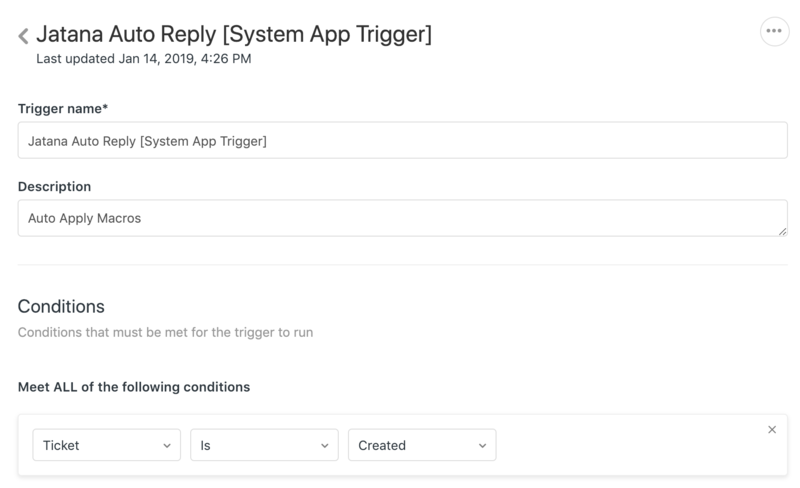 IMPORTANT: deleting, archiving or editing any [Jatana System Triggers] in Zendesk results in the system not being able to read ticket data correctly. Triggers in Jatana are used to distinguish between tickets that should be considered by the system for Macro Suggestions and Automations and those that should be ignored. 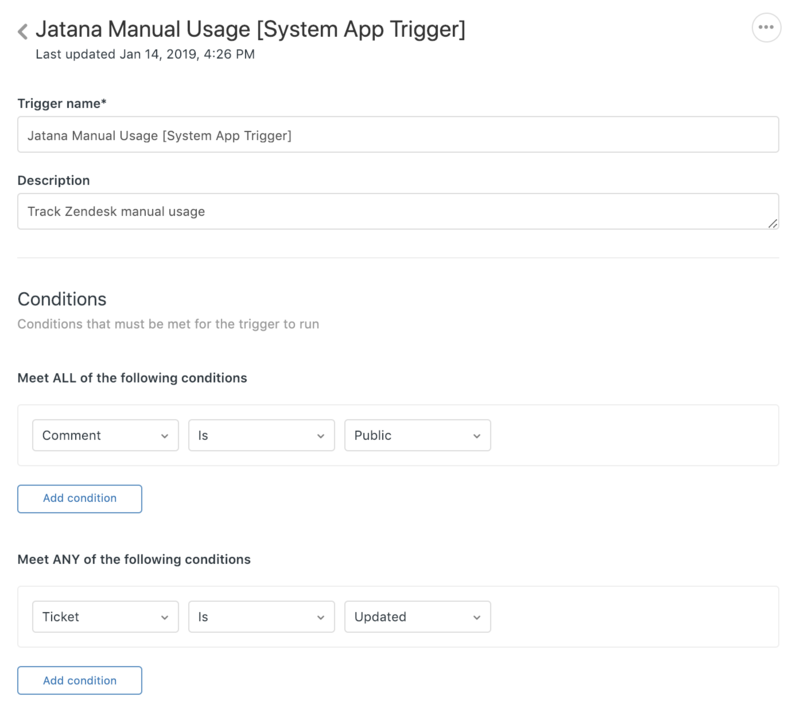 When you first connect Jatana with your Zendesk Support account we create 2 new system triggers, Jatana Auto Reply [System App Trigger] and Jatana Manual Usage [System App Trigger]. This trigger fires every time a new ticket is created. This is the trigger that Jatana uses to determine which tickets should be considered by the system for Macro Suggestions and Automations. This trigger fires every time a public comment in a ticket is updated. This is the trigger that Jatana uses to calculate manual usage analytics and compare the performance of the AI to the performance of your agents.